Vine is the Twitter service that will let you push a six second video to your Twitter and Facebook fans. For a long time you could do that on your iOS devices. 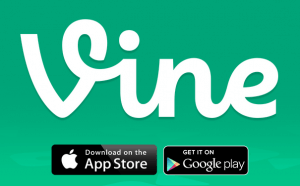 This morning, Twitter’s Blog announced Vine will be available for Android devices. One interesting feature Vine has is the stop-motion option. You only record when your finger is on the record screen. Therefore, a lot of creators have been using the stop-motion capture to move action figures, show the day pass by or what Wil Sasso did – Spit out lemons. Vine is absolutely free and available by Twitter – who bought the company in October 2012 (only a couple months after launch). On April 9th, 2013 Vine became the #1 most downloaded app on the iOS store.